In this article, I show you how to Print Pattern using for loop in Python. I have created multiple python examples to print Number, Pyramid, Asterisk (star), Diamond pattern. Python programs in this article demonstrate how to print half pyramid, pyramid, inverted pyramid using for loop, range () function and if statement in python. 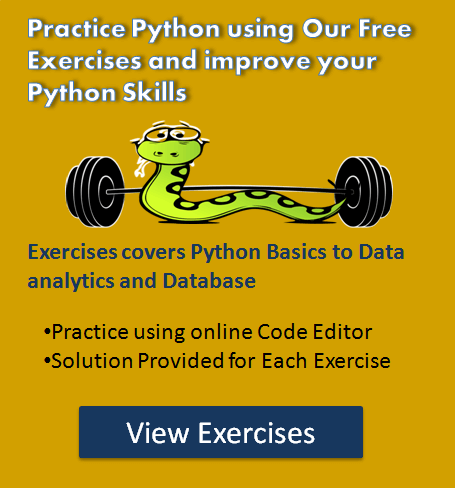 Solve our Free Python Basic Exercise for Beginners to practice Python essential skills. We need to use two for loops to print pattern, i.e. nested loops. There is a typical structure to print any pattern, i.e. the number of rows and column in the pattern. Outer loop tells us the number of rows used and inner loop tells us the column used to print pattern. Accept the number rows user want to print in the pattern. Iterate those number using outer for loop to handle the number of rows. Inner loop to handle the number of columns. Inner loop iteration depends on the values of the outer loop. 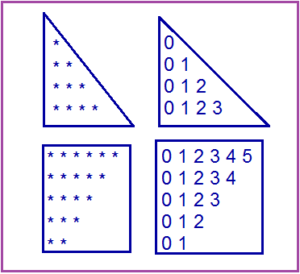 Print start, number, asterisk, Pyramid and diamond pattern using the print() function. Add a new line after each row, i.e. after each iteration of outer for loop so you can display pattern appropriately. We created multiple examples which print different styles of number pattern. Let see them one by one. Example 1: – Print a number pattern using a for loop and range function. Let see the demo. Let’ see now how t print pyramid and asterisk(star) patterns in Python. Here we will print the following pyramid pattern using an asterisk. We are using an ASCII value of a letter, so we can convert ASCII value to a character to print it on screen. let’ see now how to print Alphabets and Letters patterns in Python with examples. 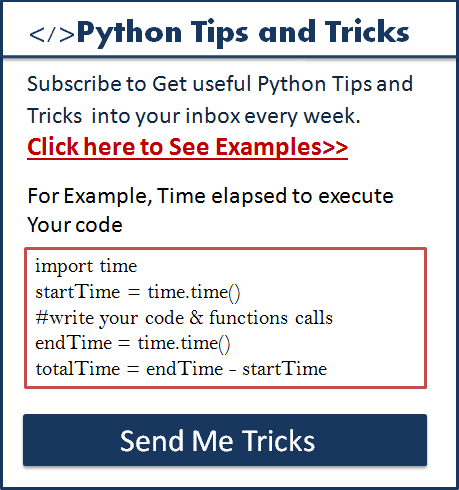 Also see how to calculate sum and average in Python. print above pattern in python. How to print this pattern in python? how do we make this one? Is it possible fro you to create python program for this pattern please? Vishal, how to do this pattern in python? How do you make this with a with a while loop? How Can I Make This Patteran In Singal loop? hey, can anyone help me with this code. It must be done using for and if only. how to make this one! How do you write this function using recursion? 1. why we are using end = ‘ ‘? wht is the purpose of it. Hi Sohair, end = ‘ ‘ used to have space between numbers or stars. plz kindly tell me how to make this?